Our chatterbox raffy flew off on January 13th through the doggie door following one of our dogs to the backyard. We miss him our little boy praying to find him soon. 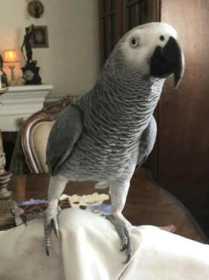 He is one spoiled bird we cook for him offer his favorite snacks, apples abd butter, fruits. Hope to find him soon.